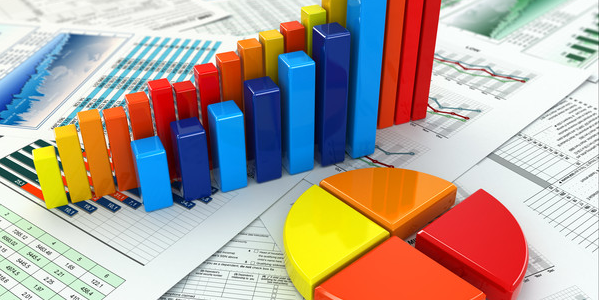 Capital investments in Ukraine in January-September 2018 increased by 19.9%, while in January-September 2017 by 20.7%, the State Statistics Service has reported. Capital investments in Ukraine in 2017 increased by 22.1%, in the first nine months of the year by 20.7% and in the first half of the previous year by 22.5%. According to the service, in January-September 2018 some UAH 337 billion of capital investments was used (excluding the temporarily occupied territory of Crimea, Sevastopol and Donbas). In terms of regions, the largest increase in capital investments in January-September 2018 compared to the same period in 2017 was recorded in Donetsk (84.9%), Vinnytsia (42.4%), Dnipropetrovsk (34.6%), Chernihiv (33.1%), Rivne (28.1%), Zakarpattia (24.7%), Cherkasy (17%), Zhytomyr (12.6%), Volyn (12.4%), Chernivtsi (by 11.1%), Kharkiv (by 9.5%), Ternopil (by 8.4%), Poltava (8.3%), Odesa (8.2%), Lviv (7.2%), Kyiv (5.3%) and Sumy (3.3%) regions and Kyiv City (by 35.2%). According to statistics, capital investment over the period fell in Mykolaiv (17.8%), Zaporizhia (16.7%), Khmelnytsky (9.5%), Kirovohrad (9%), Kherson (7.1%), Ivano-Frankivsk (3.9%), and Luhansk (3.1%) regions. In terms of sectors, the growth of capital investments in January-September 2018 was recorded in postal and courier activities (a 2.7-fold rise), arts, sports and entertainment (a 2.1-fold rise), telecom (59.9%), aviation (55.3%), IT and telecom (53.8%), warehouses and auxiliary operations in the transport sphere (53.7%), retail trade (50.7%), programming and provision of other IT services (49.7%), forestry and logging (38.5%), wholesale and retail trade, repair of motor vehicles and motorcycles (37.14%), land and pipeline transport, as well as wholesale and retail trade (36%), financial and insurance activities (28.9%), publishing (28%), in the field of health care and social assistance (27.1%), industry (25.2%), public administration and defense, compulsory social insurance (24.6%), education (23.1%), agriculture, forestry and fisheries (7.7%). The decline was seen in administrative and auxiliary servicing (18.9%), water transport (15%) and construction (10.8%). Own funds of enterprises and organizations remain the main source of financing of capital investments, which account for 73.2% of the total volume of all investments. A significant share of capital investments was made in machinery, equipment and vehicles – 47.2%, buildings and structures – 42.8% of all investments.